Euro is still moving near the level of 61.8%, but hasn’t been able to rebound form it yet. 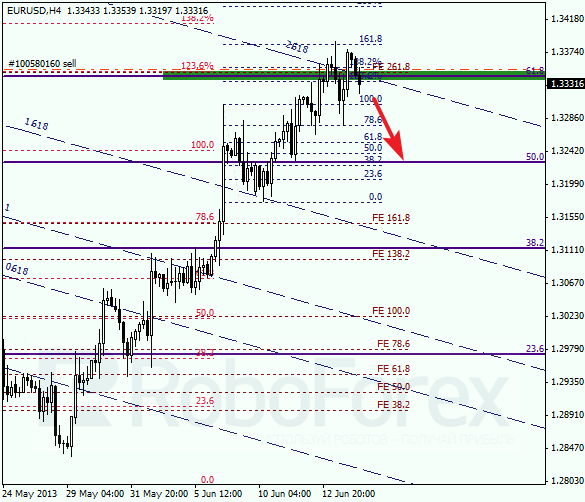 The current ascending movement faced the resistance from the 2.618 line of the fibo-channel. Most likely, in the nearest future the price will continue falling down towards the level of 50%, but I’ve already moved the stop into the black, just in case. 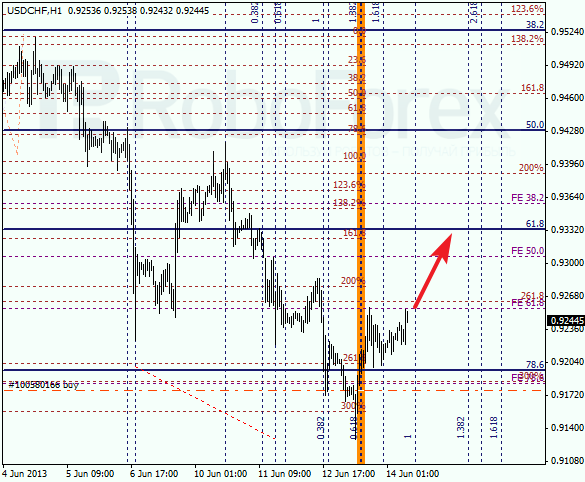 At the H1 chart we can see, that the market reached a new local maximum near the target area. In addition to that, there are several more fibo-levels near the level of 61.8%, which means that the price may rebound from them. 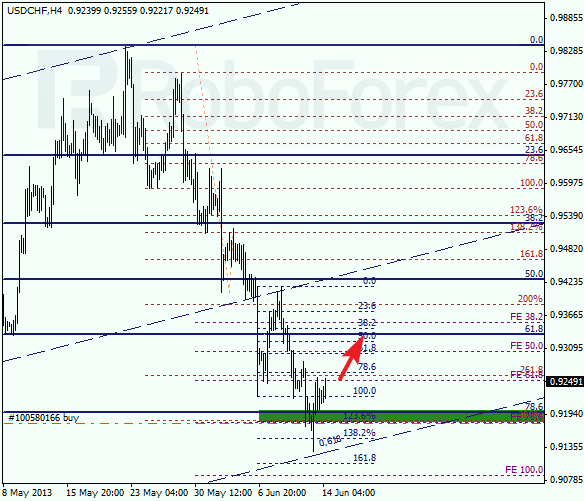 Franc is moving above the level of 78.6% again; earlier the price rebounded from the 0.618 line of the fibo-channel. In the near term, the pair is expected to continue growing up towards the level of 61.8%. However, I’ve decided to avoid any risks and moved the stop into the black. Temporary fibo-zones exactly showed us the area, where the price is going to stop falling down, or at least, start a new correction. We can’t exclude a possibility that the level of 61.8% may be reached during Friday. 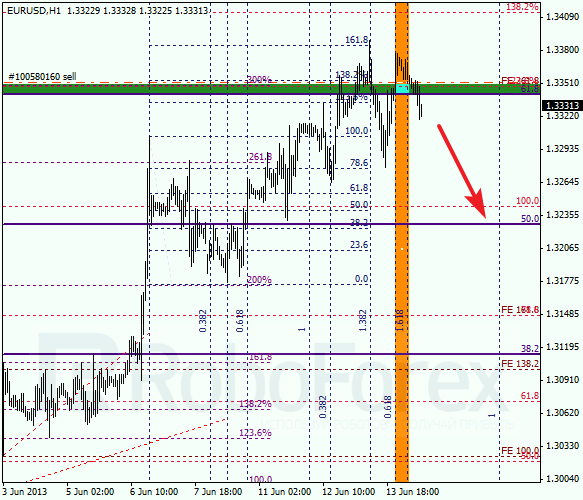 After Franc breaks this level, I’m planning to open several more buy orders.